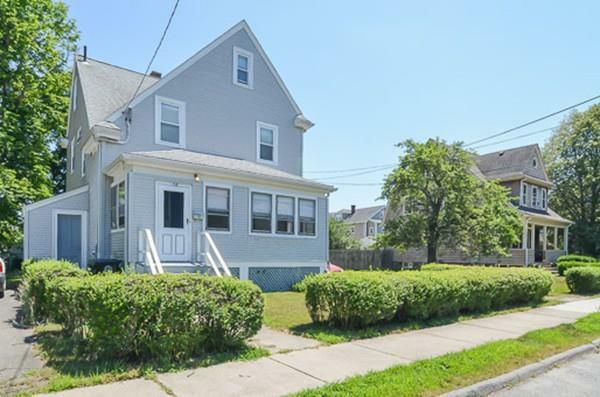 Amazing opportunity to own this rare 9 room, 3 bed, 1 bath Colonial in west Watertown. The house sits on a uniquely large and level 7, 602 sq ft lot. Hardwood floors throughout, high ceilings, terrific natural light. Great potential in walk up third floor! Roof, siding and a few windows replaced in 2003. Enclosed front porch adds additional living space for three seasons. Large 2 car garage. Needs some TLC but well worth the effort. Walk to the Charles River, Bemis Park, Gore Estate, BJ's in Waltham, public transportation, and more.